December 25th, 2015. After the gifts were opened and everyone had settled in, three of my kids and I were off to the beach. 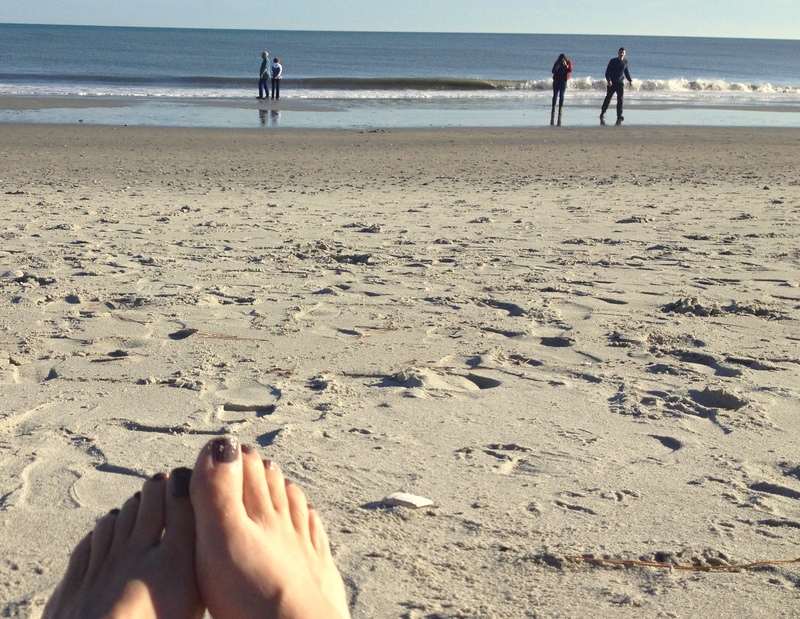 My shoes came off, my feet went in the sand, and I sat and watched the fun on the beach. Goofy, silly fun of taking photos…all while hearing the wind and waves and feeling the sun on our backs after some cold winter days. Yep. This was a picture of serenity for me! Although it still seems odd to me putting up the tree in 60 degree weather, I have to agree with Judy LOL! Lovely, serene shot!